St. Patrick's Day may not be the biggest holiday of the year, but it may be one of the most fun. When else can you dress in mismatching green clothes and have a drink (or 3) without being judged on your sanity or sobriety? We have always celebrated St. Patrick's Day in my family, and I plan to continue the tradition with Grace. Even if she is only a wee bit Irish (1/8th in fact), March 17th will be filled with tons of Irish food and leprechaun shenanigans. We have been busy preparing our house for this festive holiday even though it is still a few weeks away: the corned beef is in the freezer, Grace's outfit is made, and I have been busy decorating. 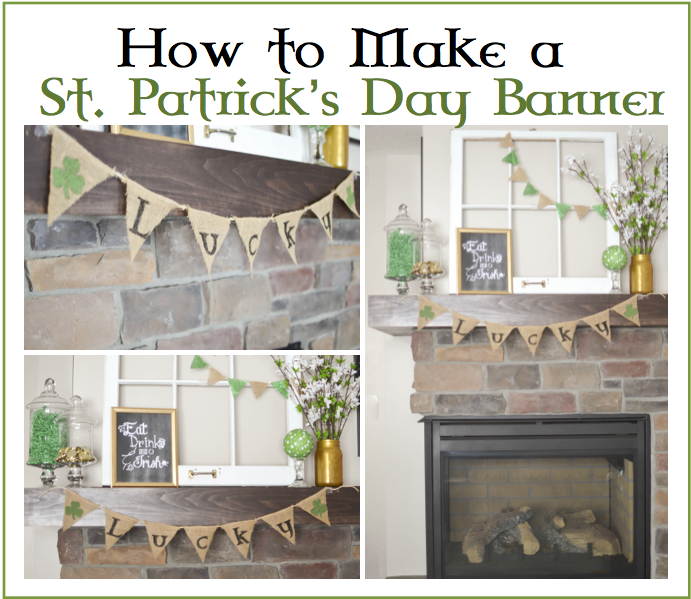 Prior to the start of the week we did not own any St. Patrick's Day decorations to speak of and now we have a mantel full thanks in large part to Pinterest and some late nights with my glue gun. 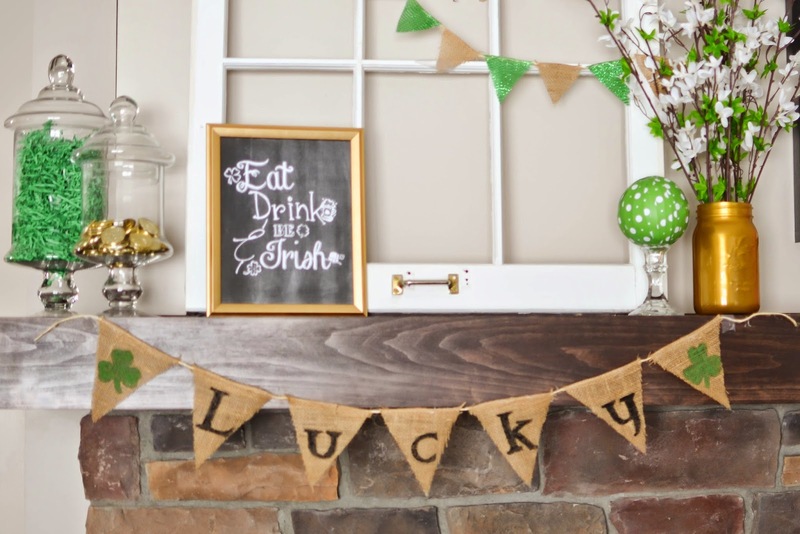 I even made a fun burlap banner for our mantel, but it could easily by adapted for any holiday. 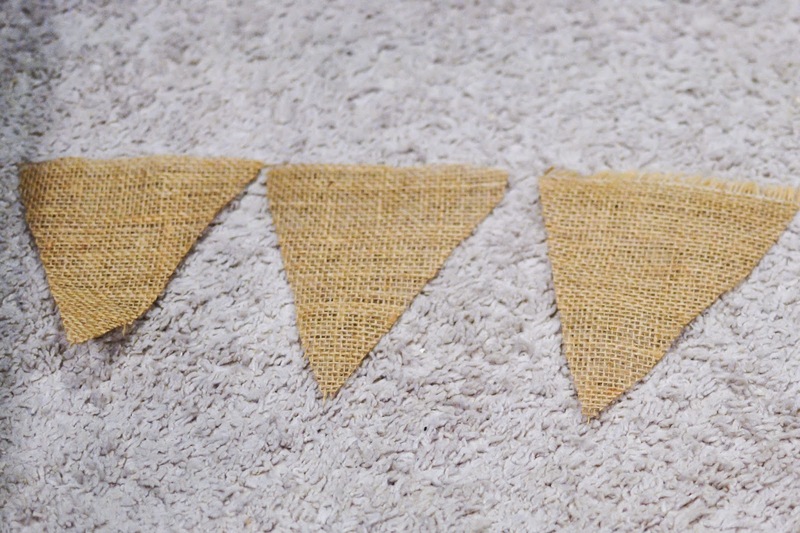 Print out the template for your fabric bunting. You can find the template here. Once the template is printed cut the template to the size you want your fabric to be. I used the 4.5" triangle to make my banner. 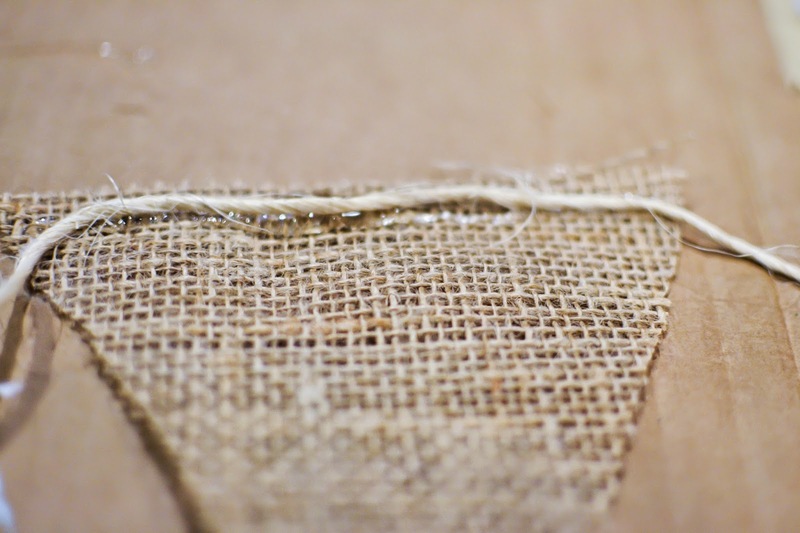 Once the template is cut attach it to your burlap using pins. Make sure to keep about a 1/2" of fabric above the top of the template to allow room to attach your twine. Cut out fabric using a scissors remembering to extend the triangle 1/2 " at the top. 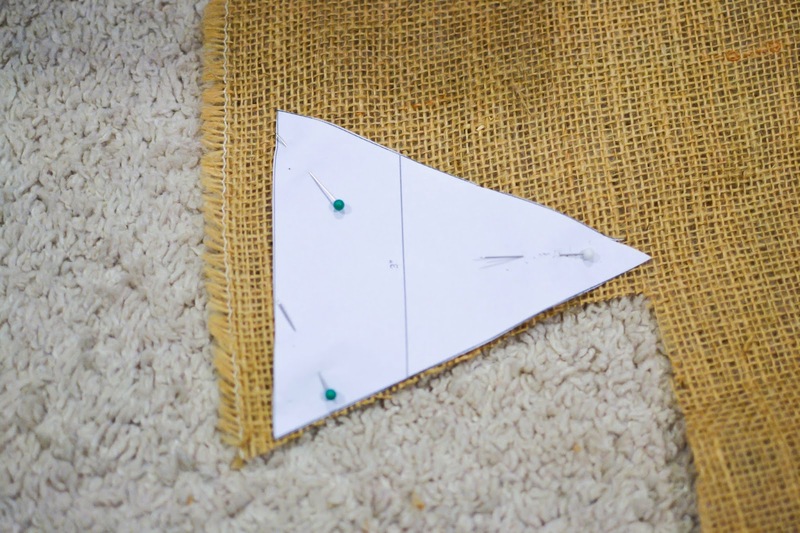 Reuse your template to cut out the rest of the triangles you need for your banner. I used 7 triangles. Note: I did not finish the edges of my fabric as they will not see heavy use. 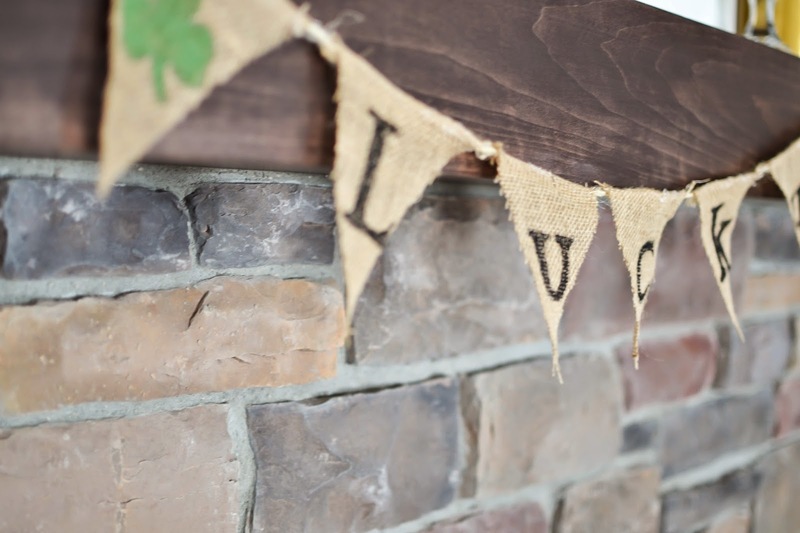 If your banner will be hung outside or handled often I suggest finishing the edges of your burlap triangles by hemming, or using Fray-Check. Using a hot glue gun make a small line of glue about 1/4" from the top of triangle. 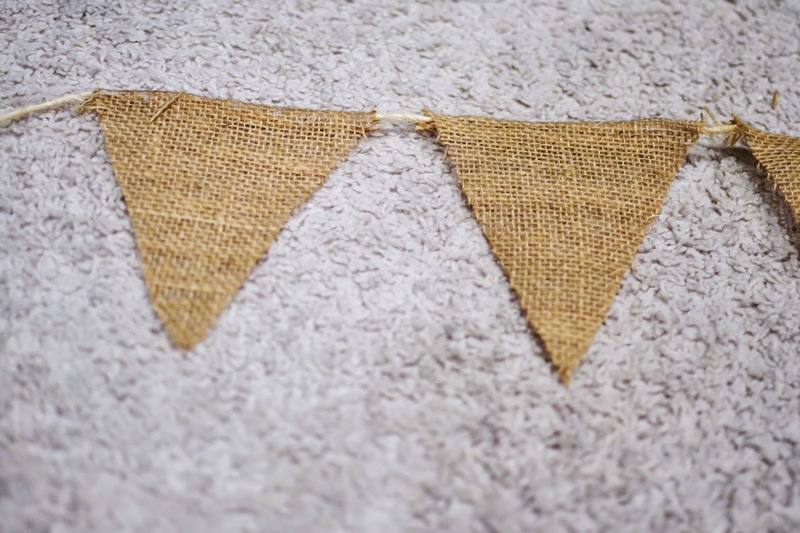 Place your twine on this glue while leaving enough excess twine at the end of the outside triangles to allow for easy hanging of your banner. 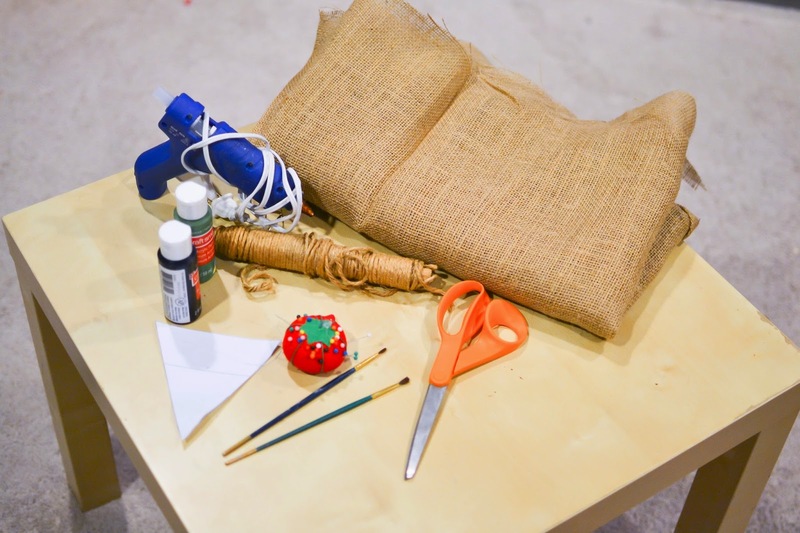 Then apply glue to the top of the twine and fold over the top 1/4" of burlap to encase the twine within the burlap. Hold until glue dries. Continue gluing the rest of the triangle to the twine placing each triangle about 1/2" from the previous. 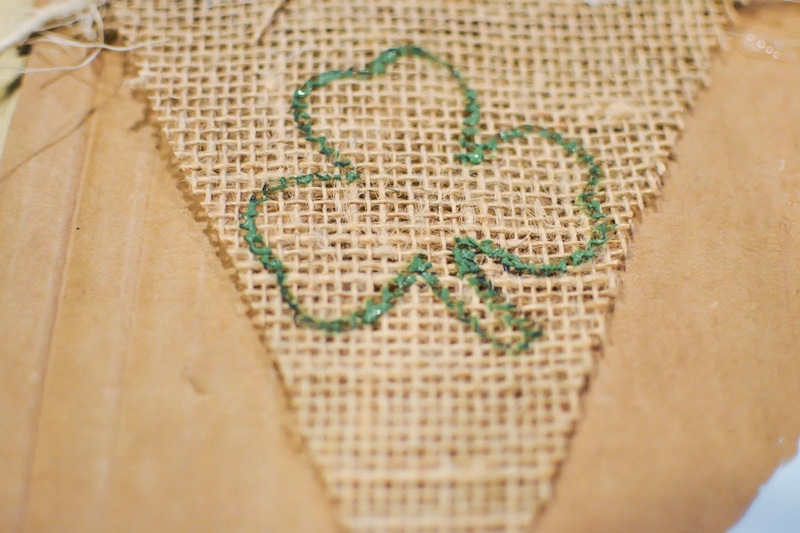 Once all of the triangles are glued cut the twine leaving enough excess to help hang the banner. Now you can paint your banner using acrylic or fabric paint. 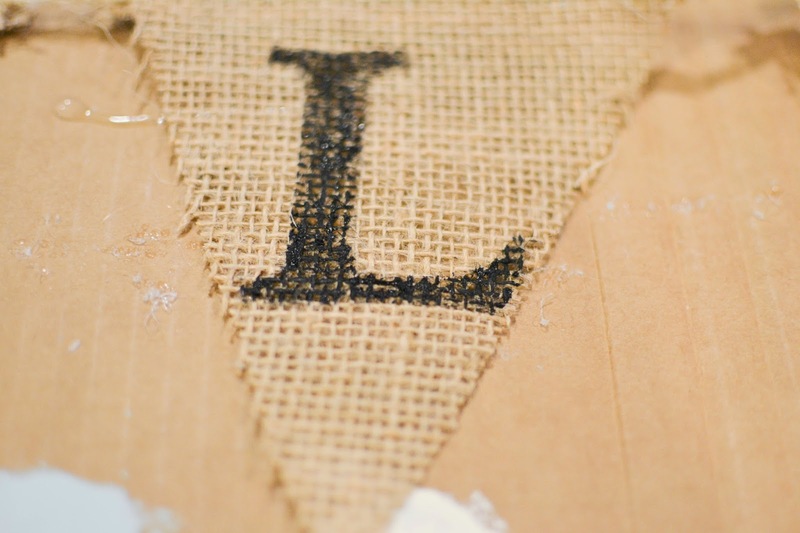 You can freehand the design or your can create a stencil by printing out letters from the computer and cutting them out before tracing them on your burlap. Once the paint has dried it is time to hang your banner and enjoy!